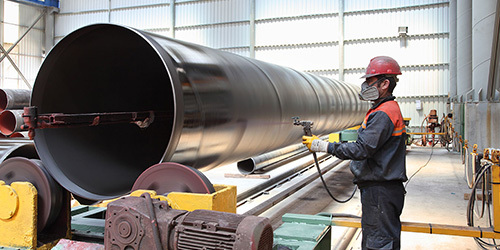 Petreoleum Pipe Lines, Gas Line Pipes, Water Line Pipes, Tubular Piles, Industrial Pipe Lines, Steel Structures, Pressure Air Pipe Lines, Refineries, Hydroelectric Power Plant Projects, Transportation of High Temperature Water, Storage of Application of Hydrocarbons. MAZLUM STEEL PIPES established in Adana, TURKEY, founded by Mazlum Mangtay whose one of the most referanced technical person at his times. The company was focused on drilling since the 1950s; and began manufacturing pipes in 1987 after experiencing difficulty finding good quality pipes for its own wells. 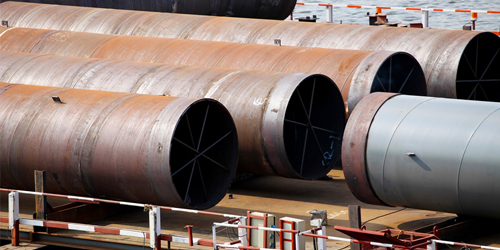 When company started producing spiral-welded steel pipes in 1995, Mazlum Pipes secured its position as an important brand name in Turkey’s pipe sector as well. For Tubular Piles please click here. For Water Line Pipes please click here. For advertising films and some our photos please click here. For our online catalogues please click here. For advertising films please click here.